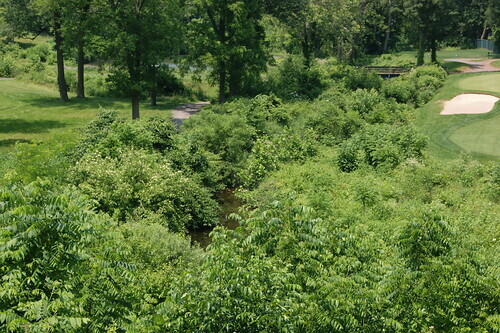 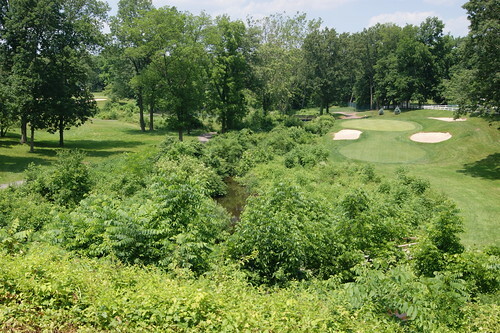 Golf requires huge land parcels in the Schuylkill Watershed, where there are 79 courses covering 12,000 acres, with 21 miles of streams running through them. 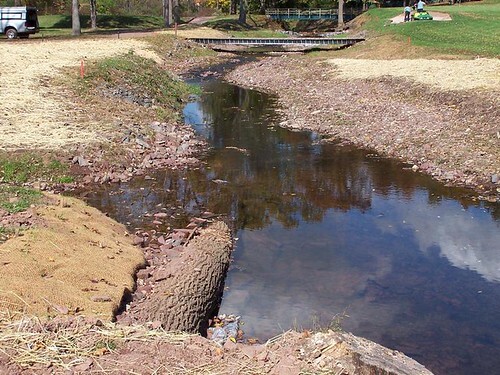 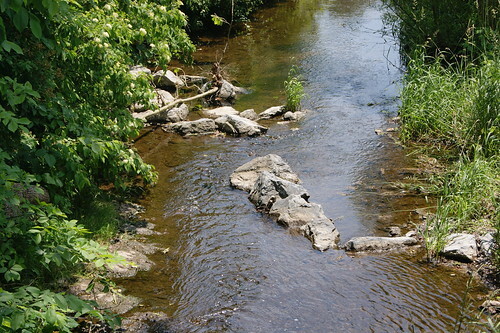 Inspired by fish struggling for survival in Sprogels Run, the supervisor at the Brookside Country Club took on a stream restoration project that challenged traditional land management and introduced club members, students, and other golf course managers to efficient and effective stormwater Best Management Practices. 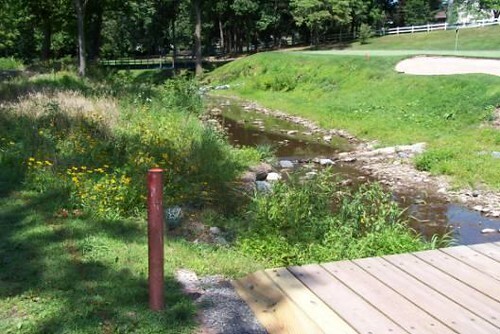 True to the “golf course look,” stream banks in the Brookside Country Club were traditionally mown to the water’s edge. 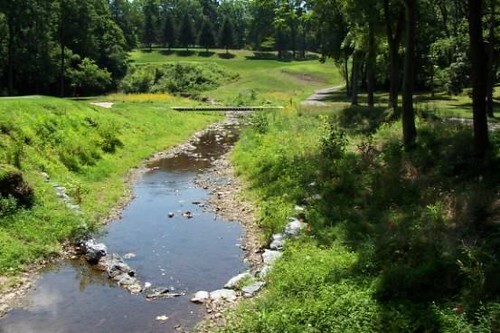 With no significant root structures in place to stabilize the banks and filter and absorb stormwater runoff, pollution from the golf course and neighboring properties flowed directly into Sprogels Run. 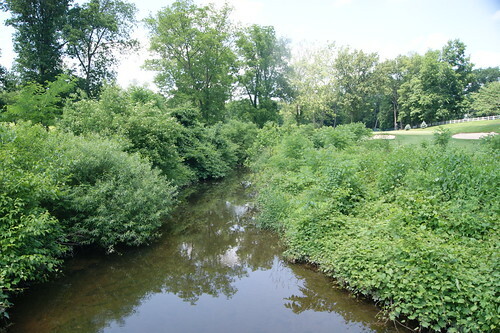 After re-grading the stream banks, a 20- to 100-foot “no-mow” zone was established, totaling almost ¾ of an acre. 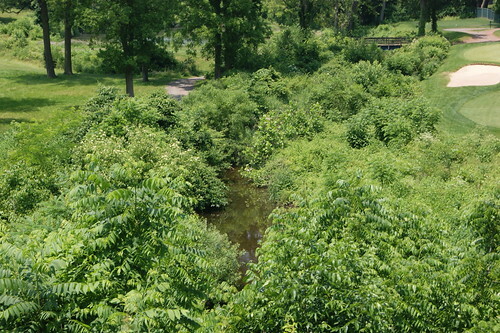 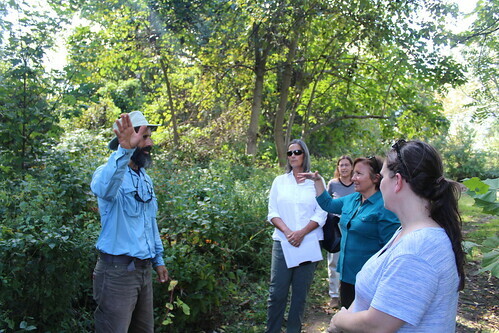 Students, club members, and local watershed organization volunteers planted seeds, 30 trees, 40 shrubs, and 100 live stakes to create a living buffer that will absorb and slow stormwater runoff, and filter out pollutants before they can enter the stream. 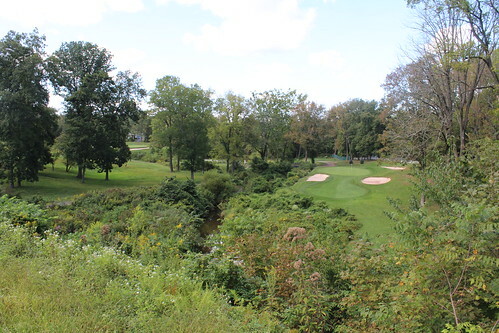 In the Schuylkill River Watershed, there are 79 golf courses covering almost 12,000 acres, with more than 21 miles of stream running through them. 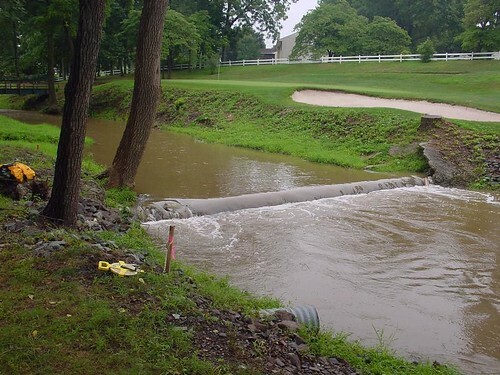 The stormwater Best Management Practices (BMPs) at the Brookside Country Club shine under a public spotlight, serving as a model of what can be accomplished on these large land parcels. 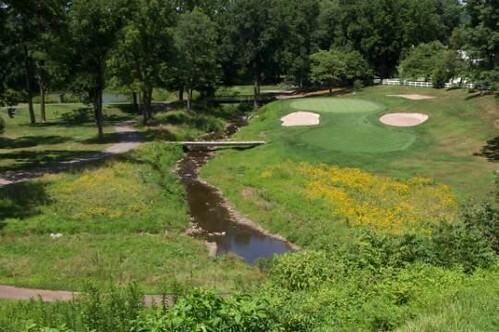 Brookside is one of a number of golf courses in the region that are integrating environmentallyfriendly practices in their management.